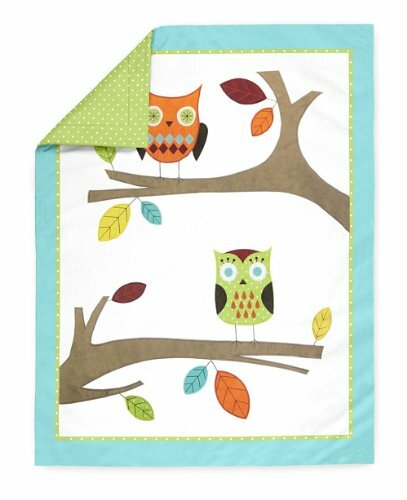 The 9pc Turquoise and Lime Hooty Baby Bedding Collection by Sweet Jojo Designs will transform your nursery into a woodsy wonderland. 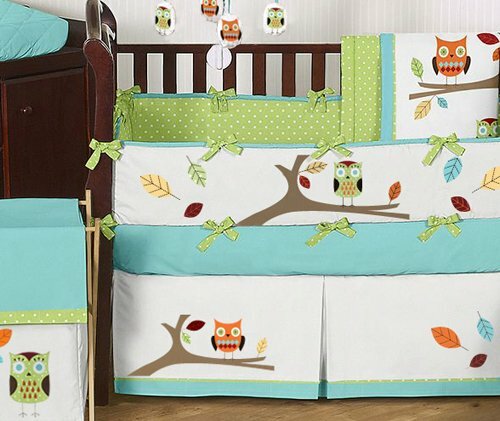 This adorable crib bedding set features detailed owl and tree themed appliqués and embroidery works. This bright and cheerful designer crib bedding set uses a sensational collection of 100% Cotton fabrics including an exclusive Sweet Jojo Designs mini dot print. 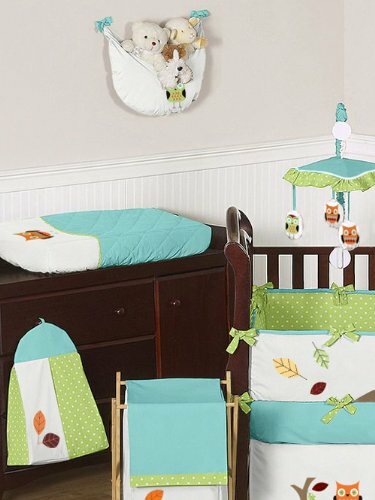 This set uses a beautiful color palette of turquoise, lime, orange, yellow, taupe, and white. This Sweet Jojo Designs set will fit all standard cribs and toddler beds and is machine washable for easy care and repeated use.